Searching for a water slide to entertain your under 18 crowd this spring or summer? Look no further. 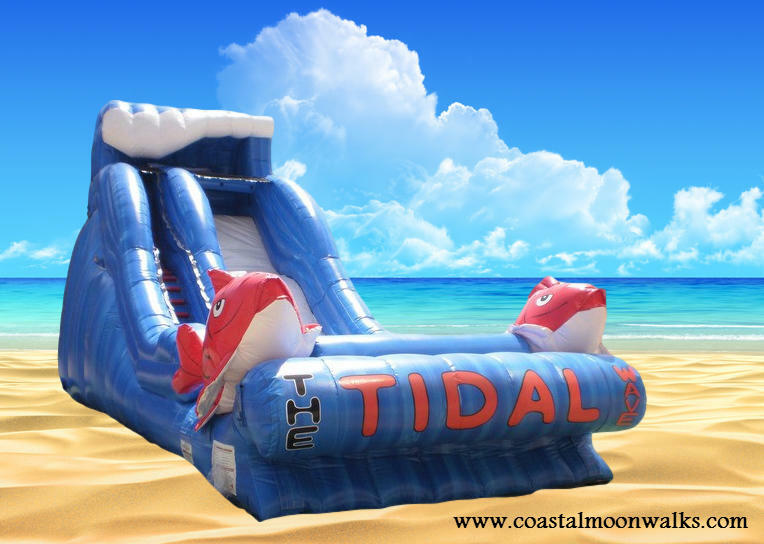 The 18 Foot Tall Tidal Wave Water Slide is a perfect fit. The kids will enjoy surfing the wave down this incredible slide. They are going to be thrilled when they splash into the splash area at the bottom. This slide is compact and will fit in most locations including your backyard. Also great for any large event, such as company picnics to entertain the kids, church festivals, water day at your school, carnivals, or youth event. Water slides will keep them happy and refresh them on a hot summer day. The Tidal Wave is a single lane slide with a splash Area! Great for children over 3 years of age. Tall Slide w/ splash area! Free Delivery w/in 10 miles! 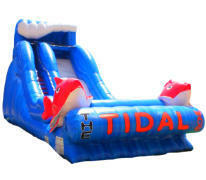 Reserve The Tidal Wave Water Slide Today!